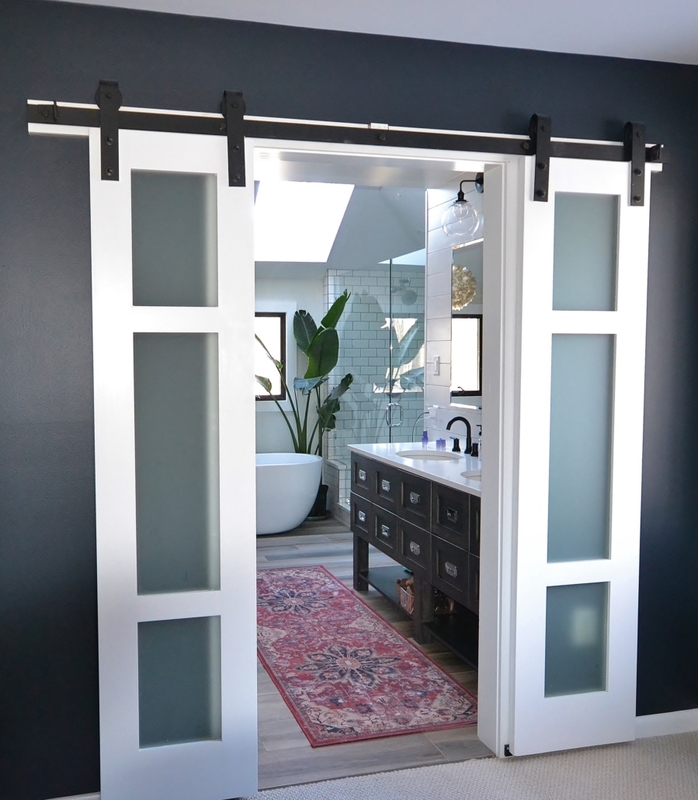 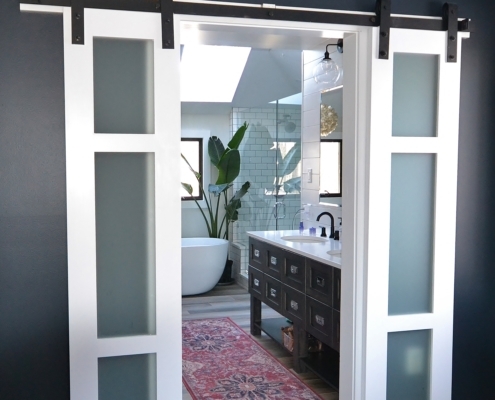 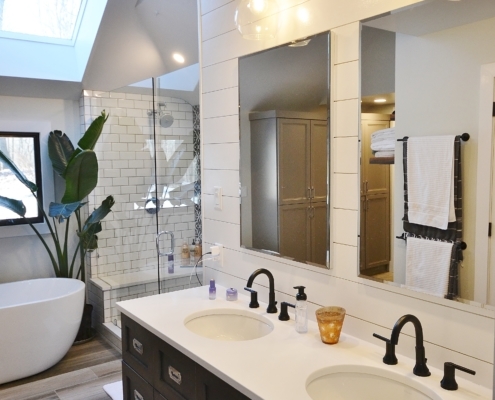 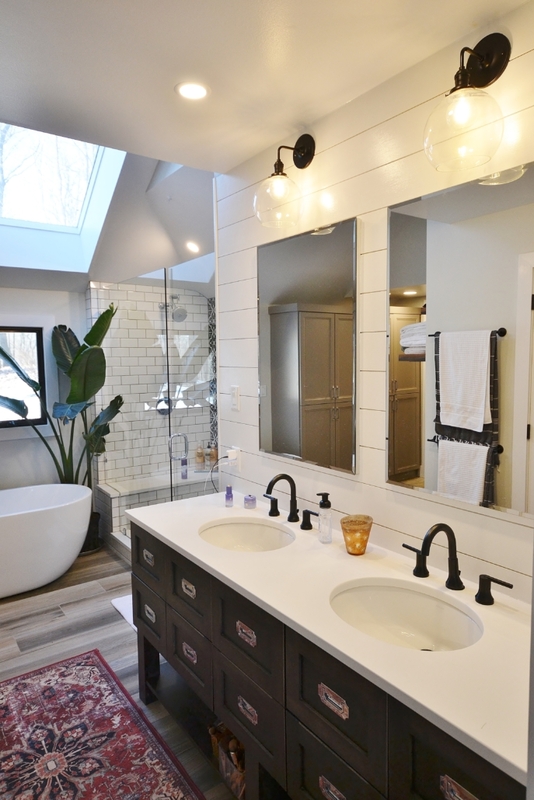 Master bath retreat with all the bells and whistles. 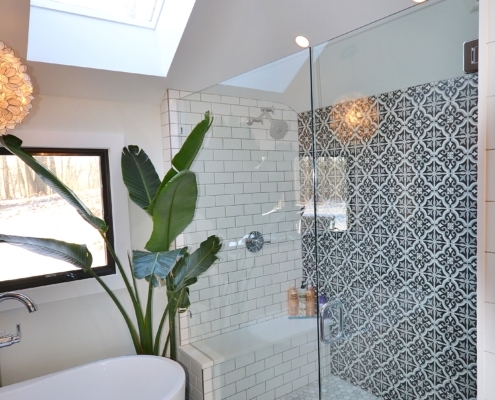 This clients original master bath was cluttered and cramped. 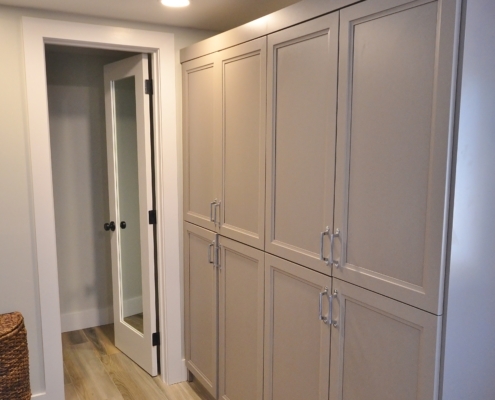 It was a large space but crowded with walls separating the area into many smaller spaces. 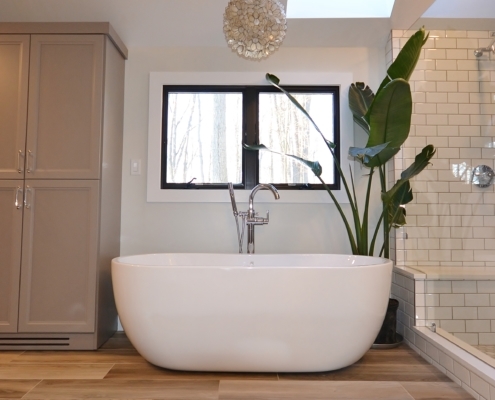 We redesigned the bath removing walls, moving and replacing the window, and changing the configuration. 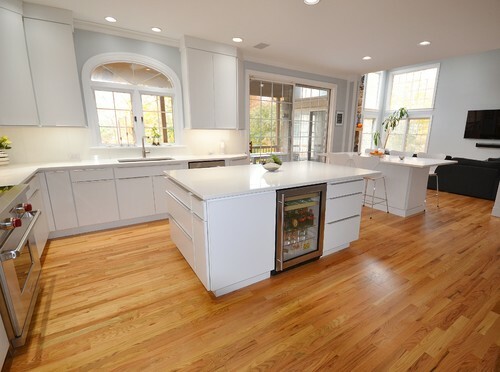 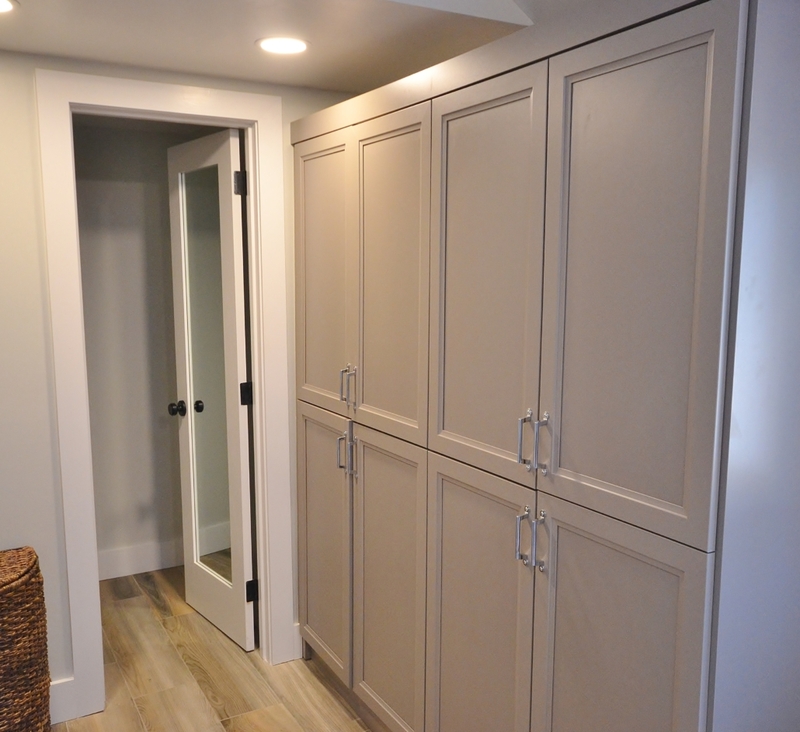 Needing extra storage was another driving facture of this project. 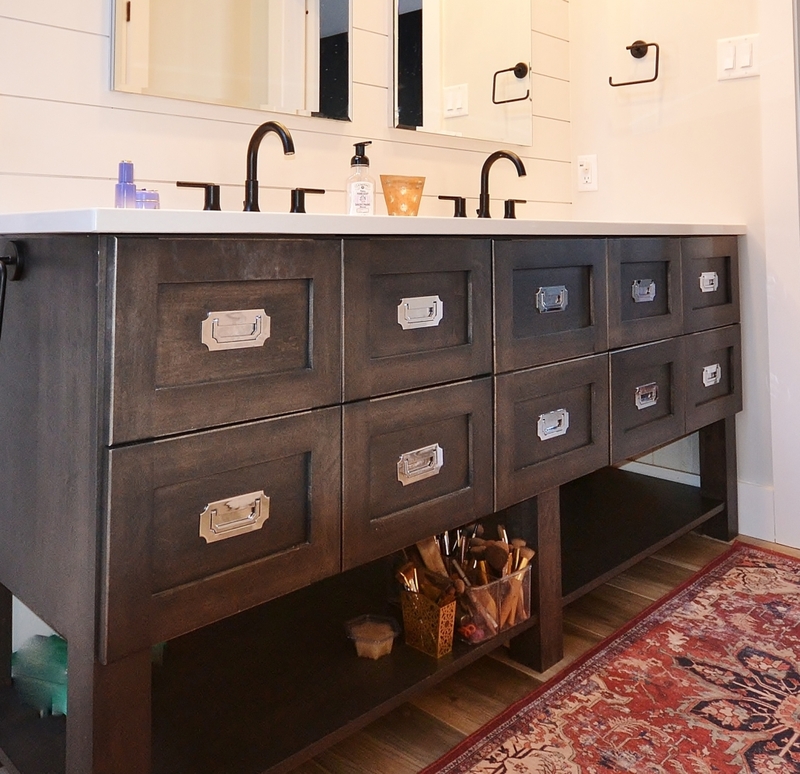 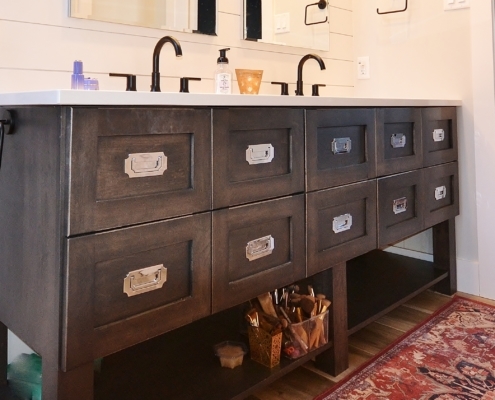 Using a custom vanity with all functional drawers, installing a full wall of linen cabinets with custom interior organizers for jewelry, shoes, etc., and installing an area of floating shelves and coat hooks added tons of great storage. 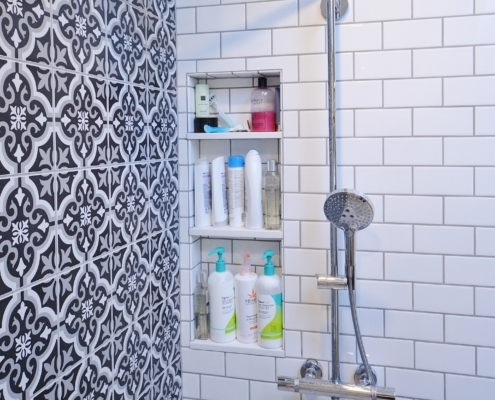 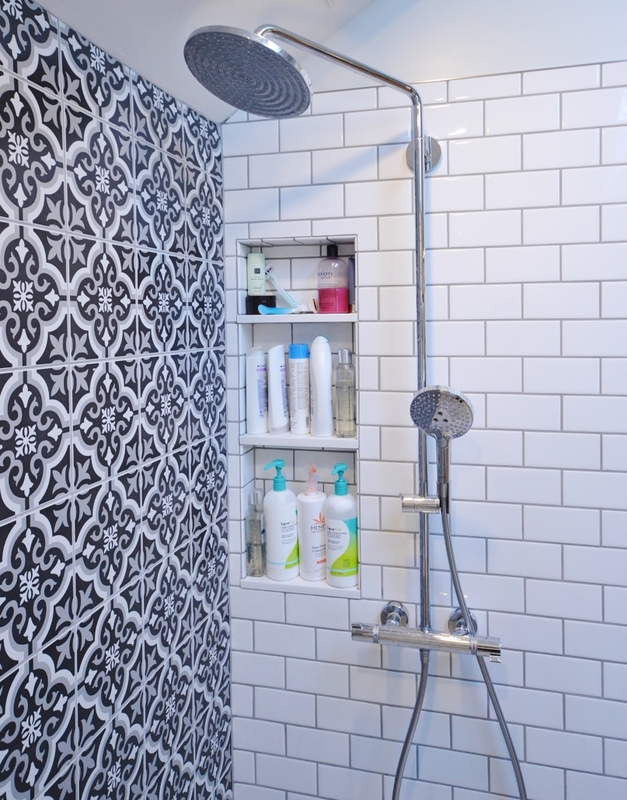 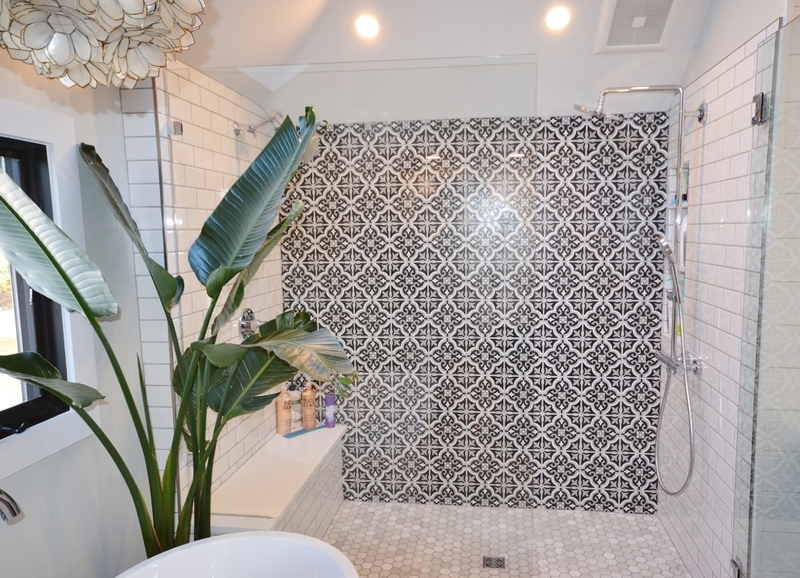 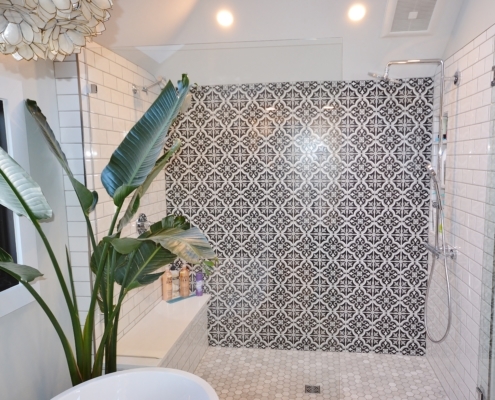 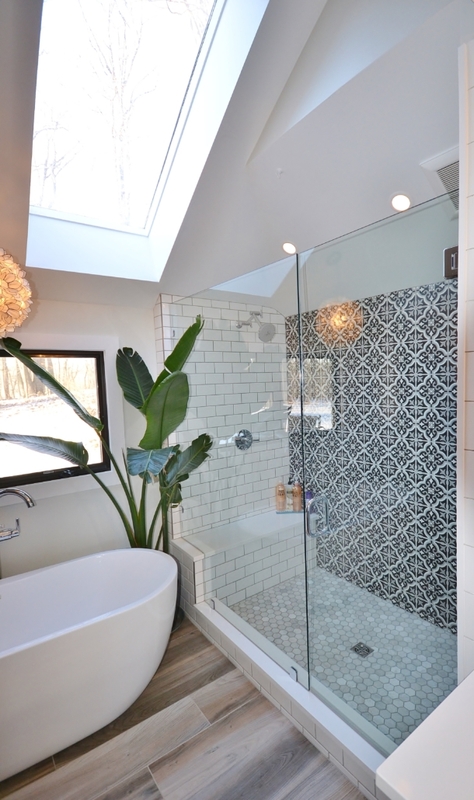 A new spacious shower with double shower heads and an awesome tile design really makes a statement. 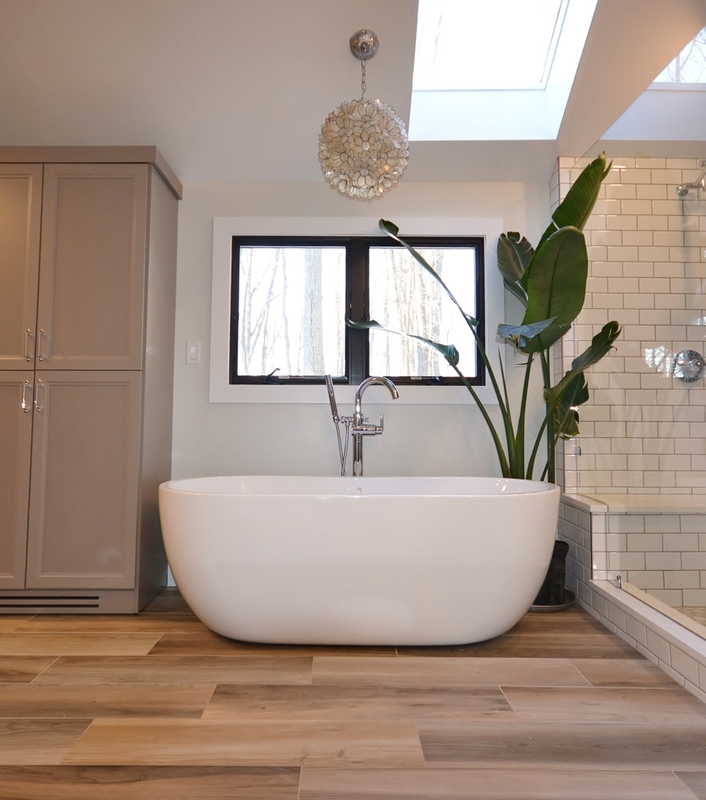 This bathroom has it all.